Two hundred years ago, the highlands of Jalisco, Mexico served as a key battlefront in the Mexican War of Independence. During that struggle, Maria Higinia Gomez served as a high counselor to the Mexican rebel leaders. For her service, she was granted 10,000 acres of land — most of which she gave away to revolutionaries who fought for Mexico's freedom. The remaining 250 acres was handed down from generation to generation and virtually untouched until Riazul's founder, Iñaki Orozco, inherited the land in the late 1990s. Iñaki knew that the land was located within the exclusive area of Mexico where agave could be harvested into what is officially recognized as tequila. He approached the family elders and pitched his idea to initially plant a few agave plants, with plans for a much larger agave field in the future. The elders were skeptical and challenged Iñaki's vision as naive and nearly impossible to achieve. But the young idealist was persistent and won them over. Soon, Iñaki had his chance to prove himself. He planted 100 initial agave shoots and that early agave crop flourished. Iñaki worked day and night to plant more than 175,000 more shoots. Here, the high elevation, cool climate, and volcanic soils give rise to agave that matures for close to a decade before reaching harvesting quality. During that time, the agave soaks up unique aromas and flavors indigenous only to this region. Agaves harvested in the Jalisco highlands contain higher sugar content, resulting in more aromatic tequilas with sweeter tasting notes. The planting, tending and harvesting of the agave plant remains a manual effort that relies on centuries-old know how that has been passed down from generation to generation. The agave used in Riazul's tequila is grown in our own fields which originally qualified as virgin soil, rendering pristine nutrients for the unique composition of our Agaves. The plants grow in neat rows for six to eight years and are meticulously tended until they are ripe and ready to harvest. The harvester, or “Jimador” removes the agave leaves with a sharp curved tool called a Coa. He trims all the leaves that protect the heart or piña of the agave until the whole heart is extracted from the ground. Only the heart, or “piña,” of the agave plant is used to make tequila. Mature piñas can weigh up to two hundred pounds; however, the size of the agave heart is not nearly as important as its sugar content. The older the agave, the longer the piña will have to accumulate the starches that will convert into fermentable sugars. Approximately, 15 pounds of agave piñas are required to produce one liter of delicious tequila. The Riazul difference: Our Agaves have a very distinctive fiber composition and above-average sugar content, which provide a very unique flavor foundation. During this step, steam injection within traditional brick ovens or stainless steel autoclaves is used to activate a chemical process within the piña that converts complex carbohydrates into simple fermentable sugars. Cooking also softens the piña, making the process of sugar extraction easier. The Riazul difference: Slower cooking times provide complex fermentable sugars that create the foundation for Riazul’s unique flavor profile. The fifth step of creating tequila is distillation, in which fermented SAP is broken down by heat and steam pressure within stainless steel pot stills or distillation towers. While some tequilas are distilled three times, the majority are only distilled twice, including Riazul Tequila. The first distillation, also known as “deztrozamiento” or “smashing,” takes a couple hours and yields a liquid with an alcohol level of about 20% known as “ordinario.” The second distillation, known as “rectification,” takes three to four hours and yields a liquid with an alcohol level near 55%. After the second distillation the tequila is considered silver, or “blanco,” tequila. The Riazul difference: Very precise temperatures for flavor consistency. In addition, part of the released alcohols in the first distillation are passed on to the second distillation for flavor enhancement. Almost all containers used in tequila aging are French or American white oak barrels that have previously been used to age bourbon. Reposados are aged between two and twelve months, Añejos are aged between one and three years and Extra Añejos are aged for over three years. The longer the tequila ages, the more color and tannins the final product will have. The condition of the barrels (such as their age, previous use and if their interiors have been burnt or toasted) will also affect the tequila’s taste. The Riazul difference: Different barrels for each expression. Our añejo ages in very exclusive cured XO Cognac barrels. 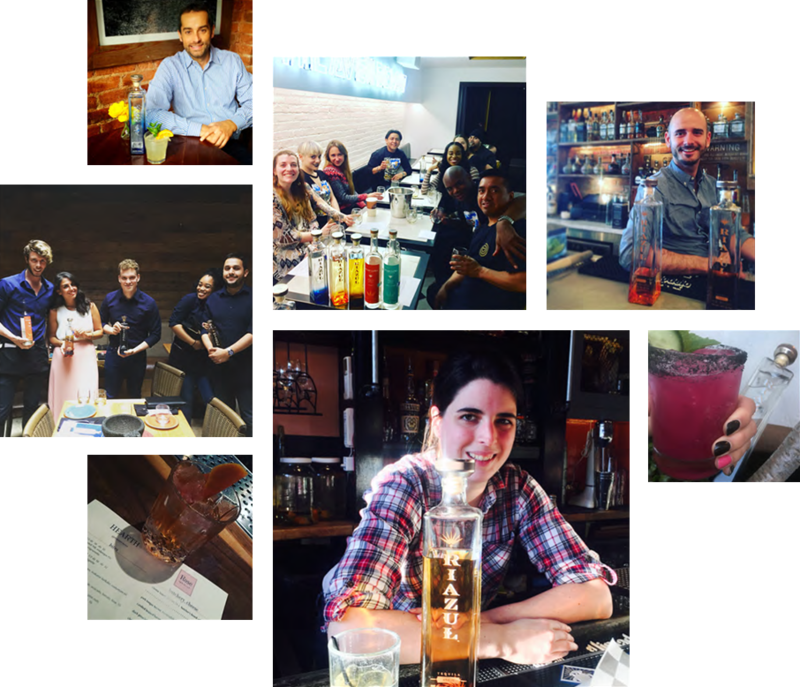 Like champagne, tequila is assigned an Appelation of Origin status, which limits production to five Mexican states: Guanajuato, Jalisco, Michoacán, Nayarit, and Tamaulipas. 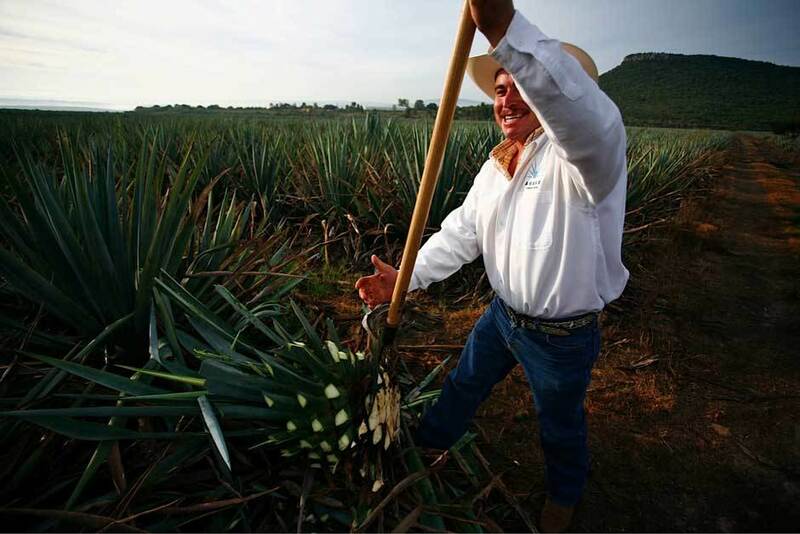 The state of Jalisco is very proud to be the center of Tequila production. It is the only state that as a whole has the status of Appellation of Origin. 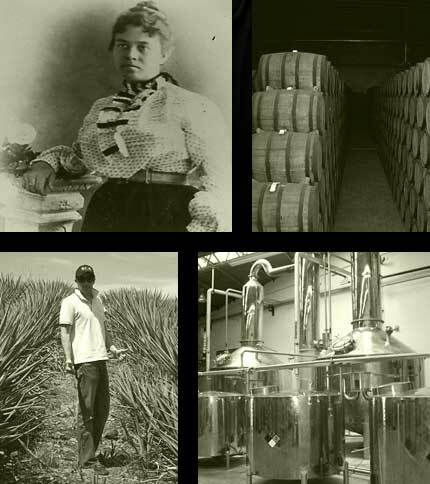 It is considered the place where tequila was first made and where the standards are defined. The other states are only permitted to grow Blue Agave in small and defined regions. All 100% agave tequilas must be bottled in the designated Mexican regions and must bear on their labels “Hecho en Mexico / Made in Mexico.” Non-100% agave tequila, or “mixtos,” can be sold and bottled anywhere throughout the world. The Riazul difference: Our land is the highest point in the state of Jalisco that succesfully grows a Blue Agave Weber plant (approx. elevation 7,200 feet above sea level).